Race a triathlon in the heart of one of Europe’s most beautiful cities! Swim 1.5km in the crystal clear and calm waters of Lake Geneva; bike 40km on closed roads along the shores of the lake, including the infamous climb of the Chemin de l’Impératrice, descent past the United Nations and ride over the Pont du Mont Blanc; finish with a 10km run on the lakefront and through the peaceful Parc de Mon Repos. Why race the Standard Distance? Challenge yourself on the ‘original’ triathlon distance in the heart of one of Switzerland’s most beautiful cities. Featuring 1.5km of swimming, 40km of cycling and 10km of running, you can race over the same distance that the world’s best athletes race at the olympic games. The Standard race is open to relay teams. Two or three team members, three sports, one race. Take part with your training partners, friends, colleagues or family to complete your first Triathlon as a team. 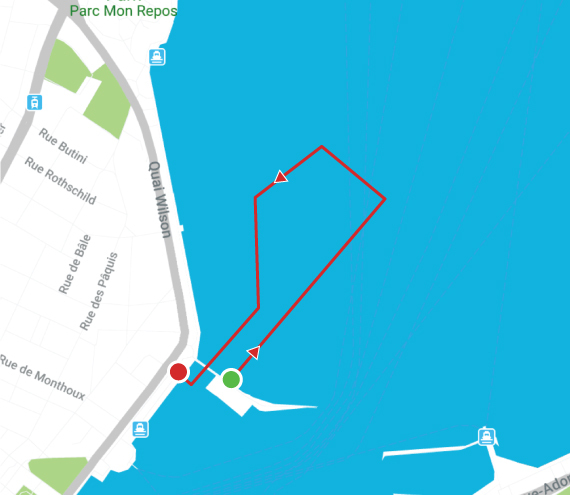 Dive into the lake from the Bains des Paquis and swim 1.5km in its pristine waters before exiting through the moored boats in the harbour. 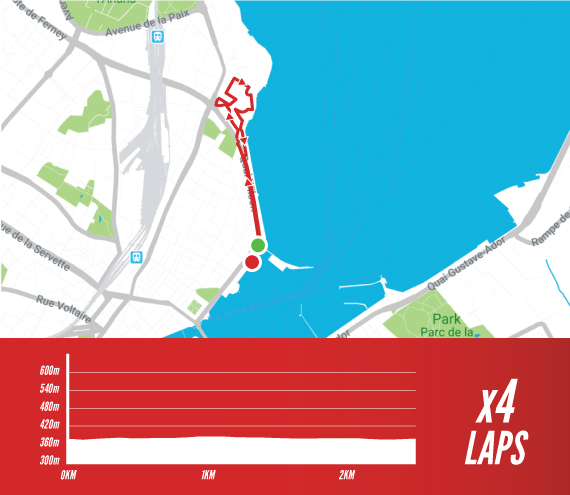 You will 5 have laps of an 8km loop to complete the 40km of the bike course. 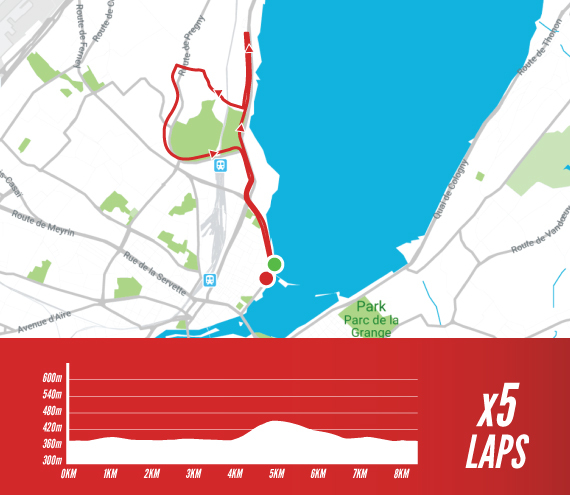 Starting along the lake, the course takes you up the 1km climb of the Chemin de l’Impératrice before descending back to the lake road past the Place des Nations and United Nations.